I bought my hobby box from Dave and Adam's Card World. Because of the cost, I was allowed to choose a free bonus. I chose four packs of 2010 Upper Deck Series One. Tonight, I am busting open one of the free packs. 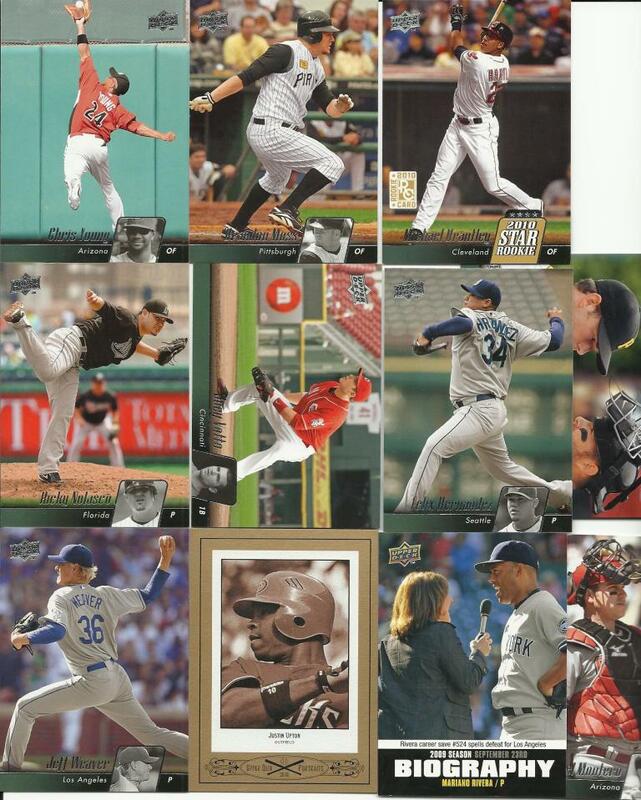 2010 Upper Deck Series One. 18 cards per pack. NOT authorized by the MLB. All free agents will appear in next week's draft. Cool deal for BConrad! He scores a card with two players because he claimed both of them! Nice job. I'm pretty excited, too, having grabbed two cards out of the pack!! Congrats to each manager who added cards to their stacks. We also have a nice start on next week's draft to boot. That Upton card is pretty slick. Well, not literally. Actually, the card feels like old-school stock. I just mean it is a very cool card for Dayf.